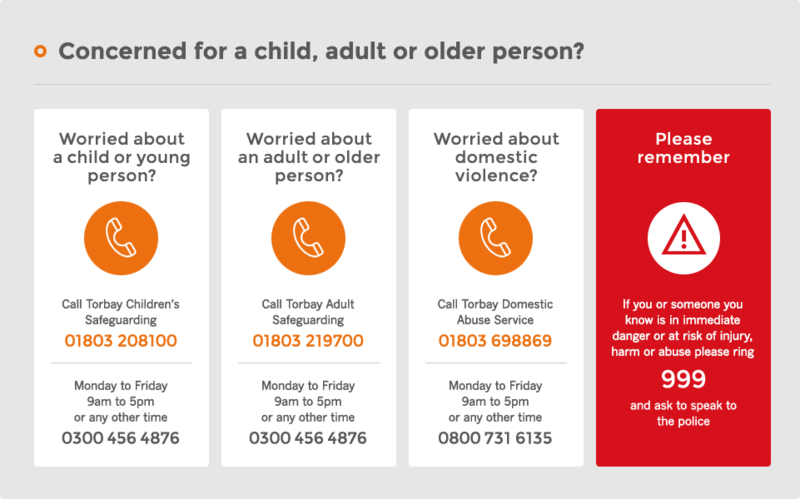 If you continue to browse and use this website, you are agreeing to comply with and be bound by the following terms and conditions of use, which together with our data protection policy govern the Torbay Community Development Trust’s relationship with you in relation to this website. If you disagree with any part of these terms and conditions, please do not use our website. The term ‘Torbay Community Development Trust’ or ‘us’ or ‘we’ or ‘our’ refers to the owner of the website whose registered office is: 11 Castle Road, Torquay, Devon, TQ1 3BB, United Kingdom. The Torbay Community Development Trust is a Charitable Ltd (by guarantee) company and a registered charity. Our company registration number is 07546840 and our place of registration is England. Our registered charity number is 1140896.